Welcome to Grandfather Clock Repair Specialist Website! 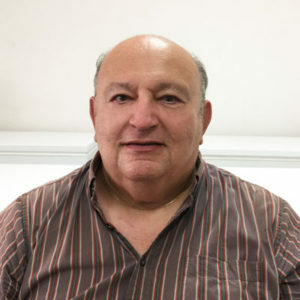 At the young age of 14, I started learning my father’s trade, repairing watches and clocks under his and my uncle’s supervision, who also was a watch and clock repairer. And now I am continuing the family tradition. There are several myths or legends about the Grandfather Clock. There was an old song called “My Grandfathers’ Clock”. When this song was popular many years ago, it is said people started to call all larger floor clocks “Grandfathers’ Clock”.The real name for the Grandfather Clock is actually a “Floor Clock”, as it stands on it’s own. 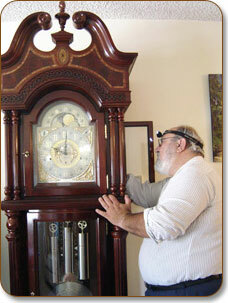 Expert Service, Repair and Maintenance of Grandfather, Antique and all kind of clocks. Re-Location preparation of Grandfather Clocks and Re-Installation. Exclusively house call service within Greater Los Angeles County and Orange County.